Nadastrom, Billy The Gent, Long Jawns, Craze, Codes, Sabo and more. Dave Nada brings his Moombahton Massive concept to Miami Music Week with help from HARD, Mad Decent, and Diplo plus more DJs than we can fit in a sentence. 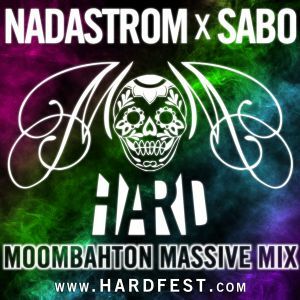 In the spirit of the DJ x DJ x DJ sets the Moombahton Massive made famous, Nadastrom (Dave Nada and Matt Nordstrom) go back to back with moombahton rising star Sabo. Featuring songs by Diplo, Dillon Francis, Nadastrom, Buraka Som Sistema (DJ/MC), Craze, Tittsworth, Toddla T, Sabo, Jwls, Codes, Bro Safari, Long Jawns, Billy The Gent, Heartbreak, Pickster One, Sazon Booya, Thee Mike B, and Jen Lasher. Need some support give me a listen if you got the time!! !